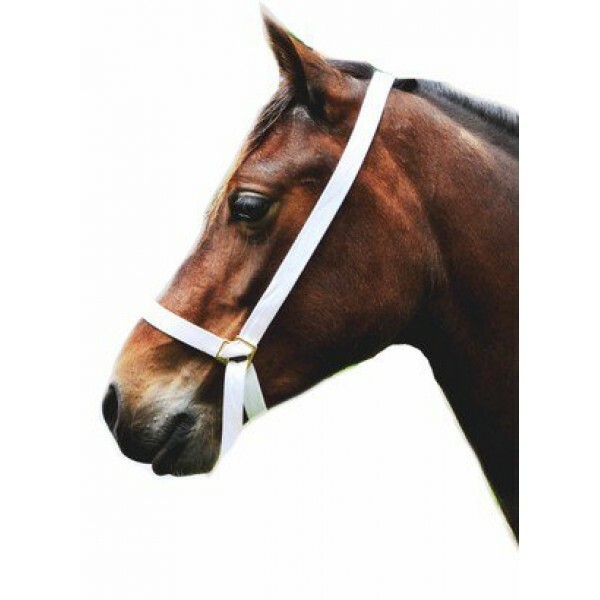 1" (25mm) for all breeds of Ponies, Cobs, Foals and Yearlings, all ages Mares & Geldings. Generous lead length (Total length 3.5 metres, but can be made any length to suit-please ask) with looped end. This Halter will fit Foals, Youngstock and Mature Mares or Geldings. Welsh Mountain Ponies, Welsh Cobs, Traditional Cobs, Fell, Dale, Highland, New Forest, Dartmoor, Exmoor, Connemara, Shetland, Lundy, Eriskay, Donkey, Llama etc! Beautiful Effective Show Halter which says quality with its brass fittings without detracting from your Horse or pony's Beauty!